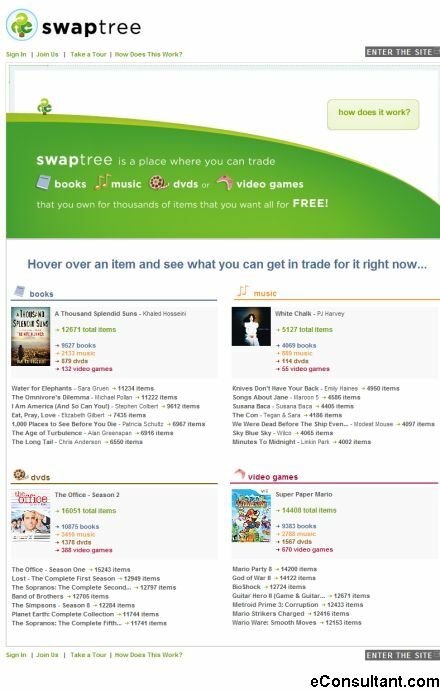 Description : Swaptree is a new and innovative way for people to easily trade the books, CDs, DVDs and video games they are finished with, for the ones they want, all for free. With swaptree, your collections stop gathering dust and can be used to acquire other items you want. By offering to trade a single item, you can choose from thousands of books, CDs, DVDs, and video games that you can receive in exchange. Best part: everything is free, you only pay shipping.